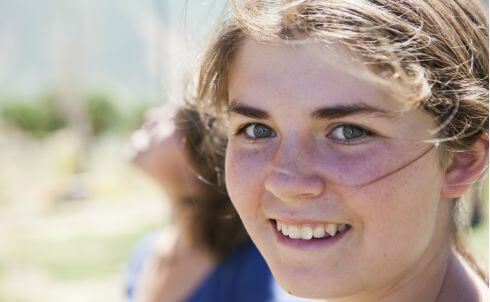 We are a residential treatment center and boarding school for teenage girls. We empower your daughter with the same skills we would want our own daughters to have to heal from life's traumas. We provide her with residential treatment and advanced academics in a comfortable, home-like environment. 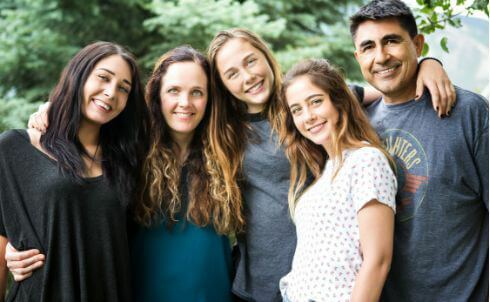 Our expert therapists facilitate healing through an emphatic focus on the family, allowing your daughter and family to find peace with the past and move forward as healthy, connected individuals. At New Haven, we base our treatment decisions on a simple question: What would I want for my daughter? We know that underneath her struggles – whether, with depression, anxiety, traumatic stress, substance abuse, an eating disorder, or another challenging emotional issue – your daughter is still there, waiting to be discovered, loved back to wholeness, and reunited with her family. 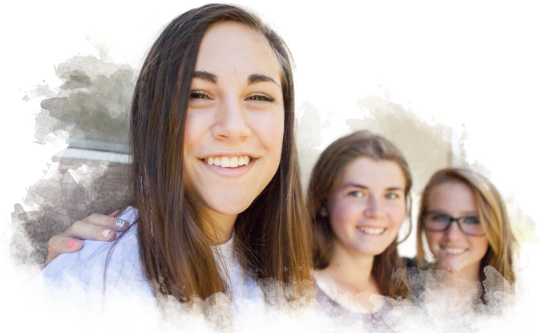 After twenty years of working together, our treatment team is one of the most experienced in the field of girls' adolescent treatment. We know from experience that girls struggling with complex emotional and behavioral issues need access to a variety of proven therapies. Experience has also taught us that even the most clinically sophisticated approaches to treatment are only effective if those delivering them come from a place of connection, compassion, and hope. Clinical excellence. The warmth and love of a home away from home. That's what we'd want for our daughters. So that's what we provide for yours. 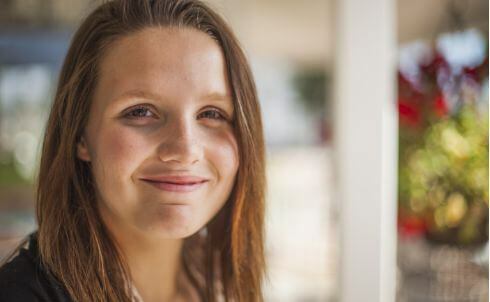 New Haven empowers adolescent girls, ages 13-17, with the skills to overcome life’s traumas. The word that comes to mind when describing the girls who come to New Haven, is powerful. Your daughter’s among the leaders of tomorrow. She is intelligent and capable. Unfortunately, you know too well what happens when your daughter uses her capabilities to sneak out of the house to meet “friends.” And you know how it feels when she uses her intelligence to make you feel like an inadequate parent. In these moments, your daughter is reacting from the emotional wounds she carries. Your daughter’s treatment program should be specifically designed to heal those wounds. 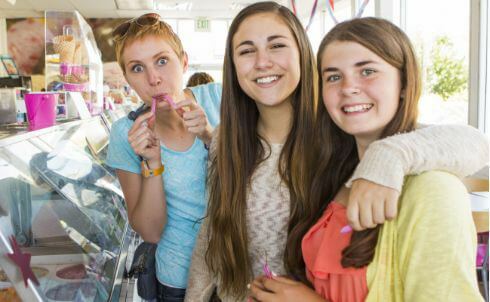 We provide all-girls residential treatment in a safe, comforting, home-like environment. 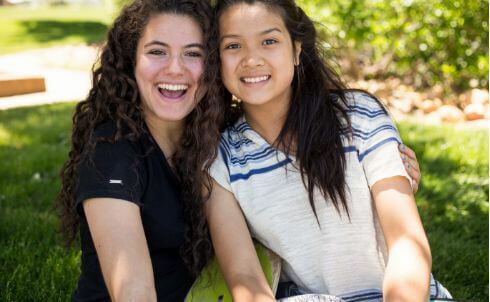 Our intensive family program and AP academics ensure that your daughter returns home healed, connected to your family, and prepared for the rest of her life. We specialize in complex issues such as traumatic stress, family problems, relationship issues, depression, anxiety, self-harm, suicidal idealization, attachment, eating disorders, substance abuse, and personality disorders. Most of the students we work with are struggling with two or more of these challenges. Many of our students have experienced a negative event that altered her view of the world. Traumatic stress can cause--of be compounded by--other mental health disorders. Our trauma-informed staff and therapists will help your daughter process through these difficult emotions. After trauma is addressed, your daughter will be able to address co-occurring disorders and improve her quality of life. New Haven is known for our passion in helping families with complex issues. These issues include, but are not limited to, relational issues between parent and child, adoption, divorce, and family traumatic stress. Most families placing their daughter in residential treatment are experiencing traumatic stress due to their daughter’s behavioral health issues. The platform of our program is building real, genuine relationships with each student and family. As she experiences and practices having healthy relationships, your daughter will work through the relational challenges she has with family, peers, men, and others. Depression is common among teens and can be debilitating. Depression is frequently seen with other mental health disorders, including anxiety and eating disorders. New Haven understands that your daughter can't just "snap out of it" and needs comprehensive treatment to address these treatment issues. Anxiety is a mental health disorder that can affect all aspects of living. An anxious child may struggle with school, relationships, and co-occurring disorders. Obsessive-compulsive disorder (OCD) is another mental illness sometimes seen in a child with anxiety. In our program, your daughter will learn and practice skills to combat anxiety. Self-injurious behavior is common for a child experiencing emotional pain or traumatic stress. Your daughter will be with a staff at all times until the treatment team trusts that she will keep herself safe. As your daughter processes through these difficult emotions, she will also learn skills to cope with urges in a safe and productive way. A child’s suicide attempt is a major cause of family traumatic stress. Few things can compare with the fear and worry family members have after this experience. New Haven keeps your daughter safe through constant supervision and awareness of her emotional states. We will also focus on helping your family overcome the fear and mistrust that comes when a child is contemplating ending her life. Many of our students come to us with attachment disorders, including reactive attachment disorder or attachment issues stemming from adoption. New Haven's relational approach to healing can be especially effective for these families as their daughters learn to build and maintain healthy relationships. Once your daughter is medically stable, we invite your family to heal from the underlying causes of the eating disorder at New Haven. Eating disorders are a serious mental illness that require a team of savvy professionals to treat. At this level of care, your family will be able to focus on strengthening relationships and lasting recovery. New Haven offers a substance abuse and addiction track within our treatment program. While the majority of the program remains the same, our students struggling with addiction, including alcohol and drug addiction, will take part in our recovery program. This includes additional values assignments and recovery group counseling. While we treat several personality disorders at New Haven, the one we see most frequently is Borderline Personality Disorder. The volatile emotions, impulsivity, and unstable relationships associated with BPD are frightening and draining for families. New Haven's focus on constant coaching in relationships, combined with our world class clinical services, are successful in treating these symptoms. Choosing the right treatment program for your daughter is one of the most difficult decisions you’ll make as a parent. Read more about our trauma-informed care, therapy modalities, academics, outcome data, and accreditation to see if we’re the best fit for your family. We know that deciding which residential treatment program will best care for your daughter is one of the most difficult decisions you’ll make as a parent. At New Haven, we operate from a foundation of understanding traumatic stress. Trauma-informed care means that our employees understand the impact of trauma, respond to behavioral issues with empathy and sensitivity, and are aware of traumatic triggers and re-enactments. Our primary focus is creating a safe, supportive environment for your daughter and family to heal. 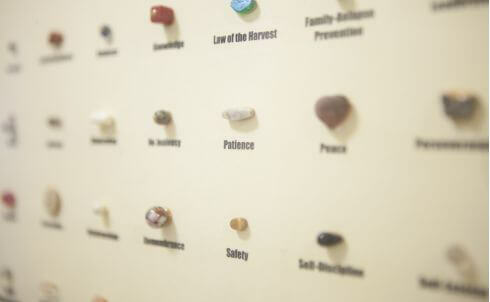 Our program is centered around family involvement. You will have weekly, 90-minute family therapy sessions that occur via video conference. This is a time to work together on family issues, support one another, and plan for your daughter’s return home. New Haven also hosts twice monthly parent coaching calls and bimonthly family weekends. Your daughter will heal best when the family heals alongside her. 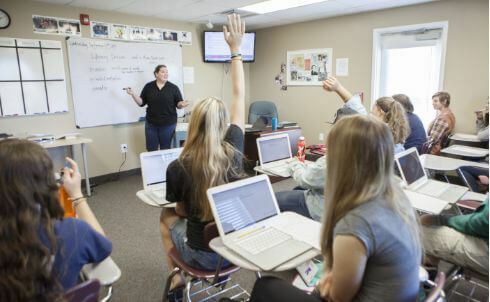 New Haven's school is located on campus and taught by passionate, certified teachers. 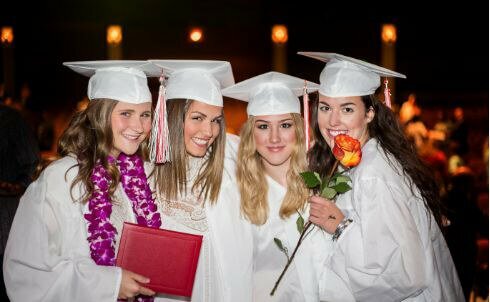 We will meet your daughter where she is at in school and propel her forward, with an emphasis on honors and AP courses. In addition to physical education classes, your daughter will have the opportunity to join New Haven's competitive sports teams. Each treatment team also includes a New Haven teacher to ensure consistency between academics and programming. We are happier when our lives are in line with what we believe to be good and true. While at New Haven, your daughter will discover her own, unique set of values. She will explore what it looks like and how it feels to act according to her values. 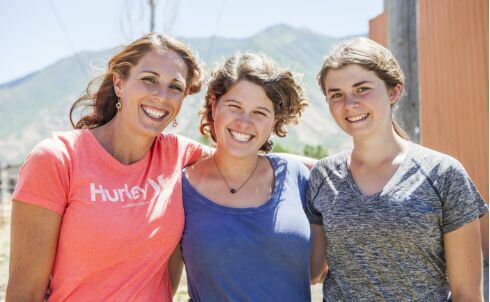 Knowing what she values and how to live accordingly will help your daughter successfully navigate the challenging decisions that she’ll make as she moves forward in life. Not all therapeutic work is done through talk therapy. Experiential therapy is a form of group therapy designed to teach life skills through therapeutic tasks. Your daughter will learn to process through challenges in the moment and solve problems in a new way. Certified therapeutic recreation specialists (CTRS) hold 90-minute groups at least four times a week. 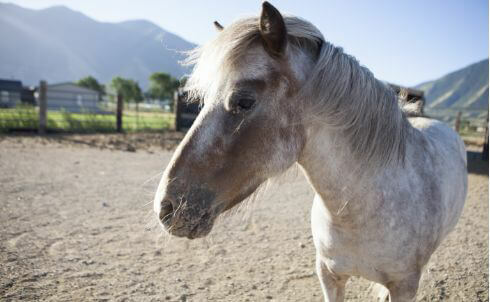 Equine Assisted Psychotherapy, or EAP, is experiential in nature and especially helpful in treating traumatic stress. Horses have the ability to sense and mirror human body language. When we make attitudinal changes within ourselves, the horses respond immediately. 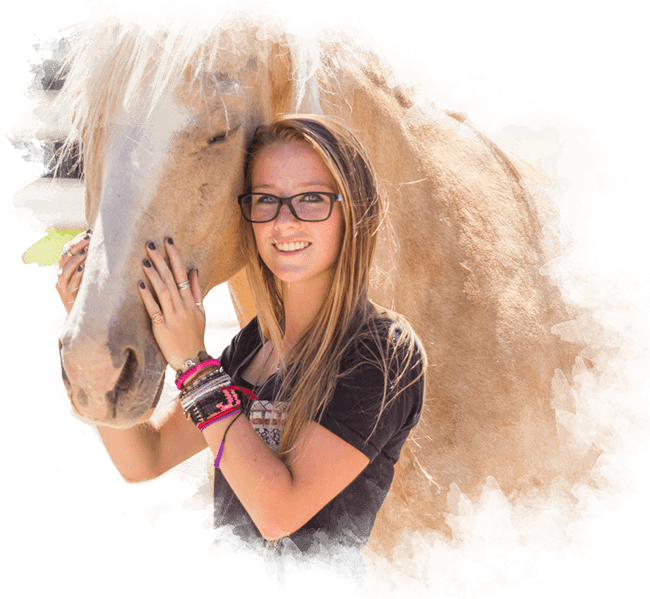 Your daughter will learn about herself by participating in activities with our horses, and then discussing the feelings, behaviors, and patterns that were evoked. Licensed therapists and EAGALA certified equine professionals work together to lead these groups. We hold two groups a day, Monday through Friday, in 90-minute sessions. Your daughter will participate in general group, which includes all students in her community. She will also attend three or four specialty groups that address her individual therapeutic needs, such as identity, attachment, DBT, CBT, recovery, or trauma groups. Sharing her experiences and emotions in group, and listening to others share, helps your daughter work through shame, learn to express herself, and give and receive support. New Haven treatment teams meet every week and include all direct care departments. The multi-disciplinary team members discuss each child and family every week, in depth, to assess progress and therapeutic interventions. We analyze what's working for your family, and what's not, and make adjustments as needed. New Haven's day-to-day operation is managed by the residential staff. These are the caring, clinically-informed individuals who are with your daughter all day, every day. Residential staff are fully-integrated into the therapeutic community. They join in groups, help the girls with daily tasks, and eat meals with them. Staff build a deep and meaningful relationship with your daughter. They are always there to help your daughter process through challenges as they arrive. Each student and family at New Haven is different, and we treat them as individuals. Your daughter will have a treatment plan and therapeutic interventions created just for her, her own personal values, and attend therapeutic groups relevant to her. She will also have 90-minutes of individual therapy each week. We have a wide range of therapeutic specialties available and will work with you to determine the best therapist fit for your daughter. Between these different factors, your daughter’s journey through New Haven will be truly unique. New Haven is proud to maintain memberships in many prestigious accreditation associations. These include JCAHO, NATSAP, BBB, and EAGALA. New Haven School is accredited by the North West Association of Schools and Colleges, the Utah State Office of Education, and AdvancED. Everyone’s path to New Haven looks a little different. Some families have been through several different treatment programs, while others are looking for their first placement. No matter where you are in the journey, we look forward to helping you heal your family. Many families come to us after their daughter has been hospitalized. An inpatient treatment program is an excellent option for stabilizing your child while she is in acute distress. After stabilization, your daughter may be in need of long-term care. A residential treatment program will give her the time and space she needs to truly address the challenges she is facing. Wilderness therapy is an adventure-based treatment that typically lasts two to three months. 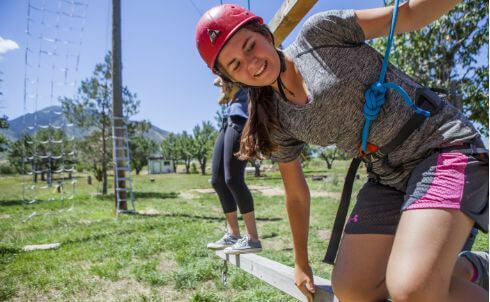 It's very common for teens to need residential care after completing a wilderness therapy program. We will work with your child to honor the work she has done in wilderness therapy. Occasionally, a family will find that the treatment facility they chose for their daughter is not the best fit. A portion of our families have chosen to move their daughter to us directly from another residential program. In these cases, we will work with your family to honor the work already done. You won't be starting over. Therapeutic boarding schools offer a similar treatment environment, but at a lower intensity. These schools do well with teens in need of more structure and therapeutic support than they had at home. Some of our students have started in a boarding school environment, but are in need of a higher level of care. New Haven offers a higher staffing ratio, more therapy hours, and increased supervision. Many students come to us after participating in community-based care, including partial hospitalization programs (PHP). Partial hospitalization, also called day treatment, offers full days of therapeutic groups and activities. However, in these programs, the child will return home for nights and weekends. A residential treatment facility is often the next step for families when a PHP program isn't providing their child enough support. Some of our students come to us directly from outpatient treatment or an intensive outpatient program. When parents realize that their child is in need of a greater therapeutic community, a residential treatment program may be the best option.